The parking ramp at the base of Ellicott Development’s 500 Pearl Street project is quickly taking shape. 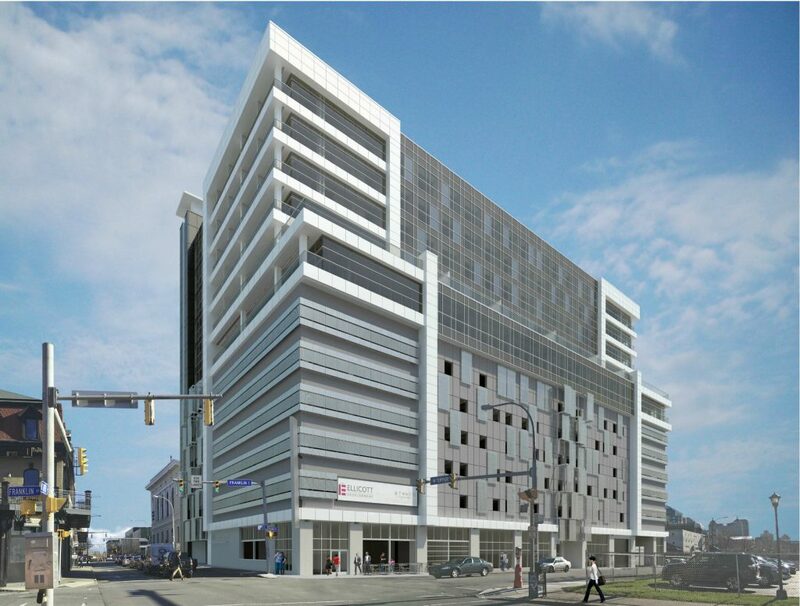 The six-floors of parking will contain 380 parking spaces and ground floor commercial space. 500 Pearl Street will contain 11,000 sq.ft. of retail and restaurant space in total, 52,000 sq.ft. of office space on the seventh and eighth floor, 14 apartments, and a 110-room hotel. The re-purposed Buffalo Christian Center at Pearl and W. Tupper will complement the uses in the new structure through use of the pool, fitness center, a large banquet facility and lounge and meeting spaces. Road Less Traveled Productions, which occupies the Forbes Theater inside the building, will remain.